Overflowing with both nectar and host plants, they are registered as Monarch Waystations through Monarch Watch at the University of Kansas. 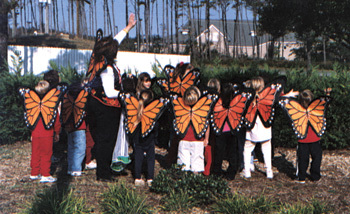 Monarch Watch is a very successful educational outreach program that engages citizen scientists in large-scale research projects on monarch butterflies. Host plants are plants on which butterflies lay eggs. The larva, or caterpillar, then lives on the host plant for about two weeks until they are ready to form a chrysalis. During this phase of the cycle, metamorphosis takes place and the caterpillar emerges as a butterfly. Most butterfly species are very particular about the host plants that they choose but will nectar on a wide variety of flowering plants. The monarch will only lay eggs on milkweed plants. Donna always says, “If you plant it they will come.” And, do they ever! She and her daughter Kaelyn, rear and release as many as 500 monarchs in a single year. Milkweed is a historically common and widespread plant that has been reduced in range and numbers by habitat destruction. The white sap for which the plant is named is toxic. By ingesting the leaves of the milkweed the monarch itself becomes toxic to many predators. Milkweed grows at Donna’s store in Duck, where you may spot monarchs in various stages in the summer and fall. The life cycle of the monarch begins as the female deposits an egg (no larger than the head of a pin) on the underside of a milkweed leaf. In about three days a tiny caterpillar breaks through and spends the next two weeks devouring milkweed. As it grows, the yellow, black and white striped larva sheds its skin. When it is about two inches long, it locates a sheltered spot and weaves a dense silk pad. After attaching to this pad it hangs overnight in the shape of a “J”. Then the fifth and final shedding occurs as it wriggles out of the larval skin to reveal the pupa. The jade green chrysalis of the monarch is studded with glistening gold. In about two weeks the orange and black wings are revealed through the now transparent case. The adult monarch emerges and hangs as it pumps fluid from its swollen abdomen to expand the wings. It takes three or four hours for the wings to fully develop, dry and be ready for flight. Most generations of monarchs live for four or five weeks. However, the migrating generation born in the fall can live for as long as seven months. The North American monarchs that migrate east of the Rocky Mountains can fly as far as 70 miles a day. Some begin their journey as far north as Canada and travel over 2,000 miles on their voyage to the Transverse Neovolcanic Belt of Central Mexico in the state of Michoacan (about 100 miles west of Mexico City). They come to roost at altitudes of 10,000+ feet in oyamel fir trees growing there. These trees tower to heights of over 150 feet and form a protective canopy and a unique, although delicate, microclimate for as many as 100 million butterflies. Scientists discovered these overwintering sites in the mid 1970’s; until then the migrating butterflies’ destination had long been a mystery. This trek is truly amazing as the monarchs take several generations to complete their journey north, only to turn around and fly back to where their great-grandparents spent the previous winter. In 1986, the Mexican government set aside five sanctuaries encompassing twelve known overwintering sites. This fragile ecosystem is being threatened by illegal logging. Efforts are being made to provide alternative income to meet the economic needs of the local landowners, while protecting the oyamel forests. Donna and Kaelyn carefully catch and tag the migrating monarchs, using an all-weather polypropylene tag, and release them to continue their journey to Mexico. 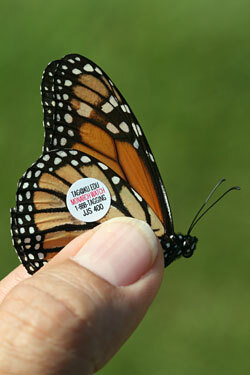 Each tag has a number that is recorded in a log, along with the date of tagging, location and gender of each butterfly. This data is then sent to Monarch Watch at the University of Kansas, where it is compiled along with the logs of thousands of monarch enthusiasts. In 1999, Donna and Kaelyn had one of their butterflies recovered in the Cerro Pelon region of Mexico. It had flown 1,880 miles! Long before she began tagging monarchs, butterflies were inspiring Donna. Her home is filled with colorful paintings and drawings she created of butterfly wings. 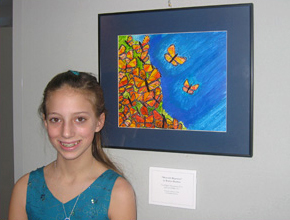 In 2006 Kaelyn entered a watercolor of monarchs in the PTA Reflections program at her school. 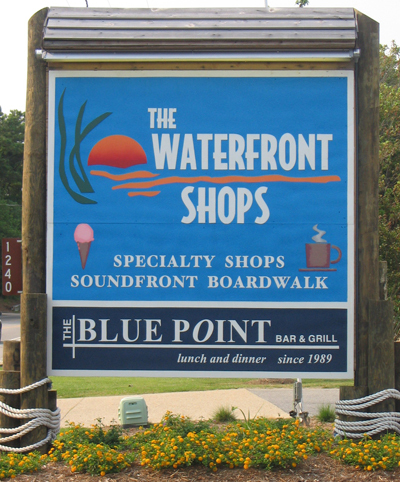 Her entry went on to win state and national awards and was one of 24 chosen to hang in a show at the Department of Education in Washington, D.C., and is shown above. Donna and Kaelyn have given many presentations on monarch butterflies to elementary school classes. They talk about the monarch’s migratory flight to Mexico. By the end of the talk, even the kindergarteners learn that “Monarchs eat Milkweed and Migrate to Mexico.” Everyone’s favorite part is taking the tagged butterflies out to the schoolyard and releasing them. As the monarchs take to the sky, they wish them a safe journey south to their winter home.